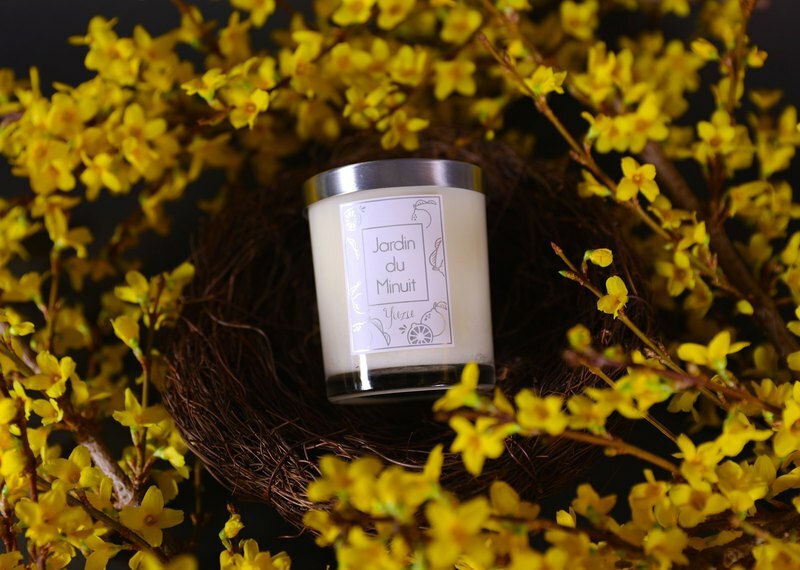 Jardin du Minuit Candles are 100% soy wax formulated with essential oils and scented fragrances. Naturally handmade, it does not produce smoke when burned, suitable for any space. Melted wax oil is also a good massage moisturizer. Fragrance Tonality: White Pomelo Citrus Lemon Continuous burning time: 48 hr / 12hr Use period: on the box sticker Manufacturing: Australia Weight: 200g ± 10% / 70g Metal cover with small size Precautions: When you first ignite a soy candle, trim the wick to about 0.5 cm. If the wick is too long, it will easily accelerate the burning of your candle. When you first ignite the soy candle, please completely melt the surface layer of soy wax. In this way, not only can the center point be too low, but also all the wax can be completely burned, and the life of your candle can be extended. Please avoid placing the candle in the downwind, fan or air conditioner vent; the wind speed will speed up the burning of the candle and shorten the time you enjoy the soy candle.